Yves Saint Laurent Beauty unveils pop up store in Coachella, Ruinart partners with Métiers Rares, Piaget Salon has just opened in Monaco and the other news of the day. YSL Beauty opens its very first pop-up based in Coachella on Route 111 in Palm Springs, California. The pop-up and the gas station “make-up oasis” style, will be equipped with make-up refills instead of gas pumps and will be open from April 12 to 14, for the duration of the Coachella weekend. Coinciding with the launch of their new concealer concealer Touche Éclat High Cover Radiant, Rouge Volupté Shine lipstick, Eclat All-Over brightening pen and Volupté Plump-in-Color plumping lip balm, festival-goers will be able to find out more about the cosmetics distributor at the YSL Beauty Station, try up to 50 lipsticks in VR technology and enjoy the expert beauty tips they can then enjoy during their stay. 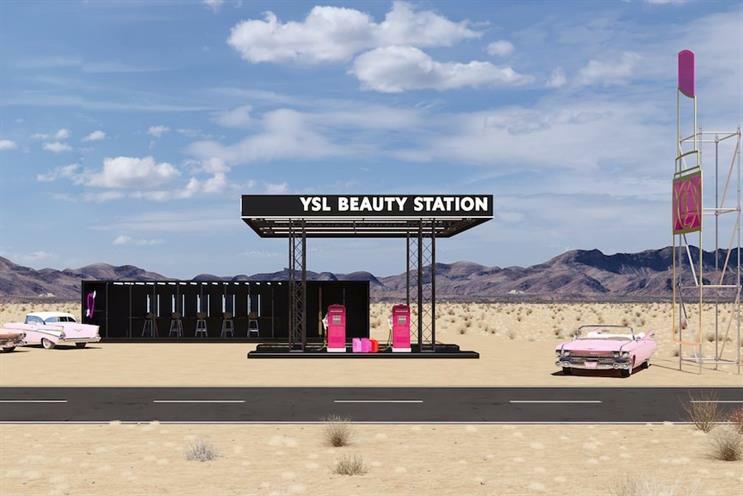 In addition to looking like a typical gas station, the pop-up will feature Instagram-style scenes, including life-size YSL lipsticks and retro cars. Maison Ruinart has chosen the Métiers Rares studio to highlight the know-how of fine crafts and integrate it into its DNA. The oldest Champagne House is also a pioneer in contemporary art, commissioning an international artist every year to reinvent its codes and exhibiting him at more than 30 fairs around the world. It confirms its artistic commitment by creating the Route des métiers d’art, a concept created by Métiers Rares. Each stage of the trip was the subject of digital content, videos, films, stories, photographs and podcasts produced by Métiers Rares. 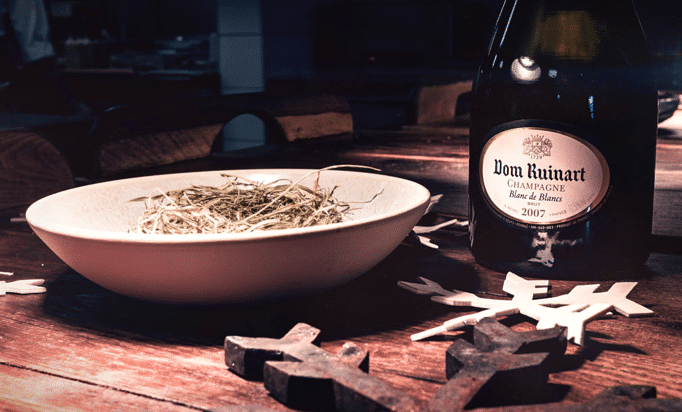 Ruinart is committed to highlighting the know-how of the regions of France, around a creative encounter between a great chef and an artisan. For the first opus, the Champagne house gave all possibilities to a magician of a noble and robust material closely linked to the vine and the House: The Wood. Métiers Rares speaks about a meeting between the three-star chef, Emmanuel Renaut, and the cabinetmaker Steven Leprizé in the kitchens of the Flocons de sel restaurant. 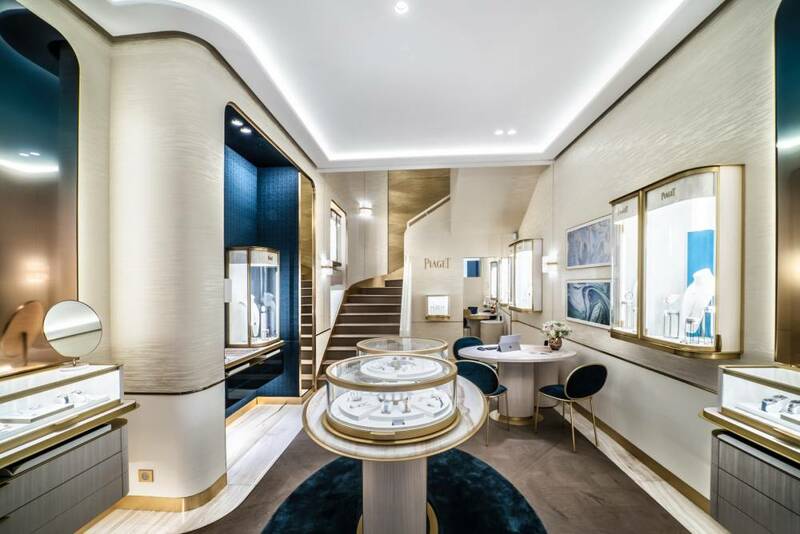 Piaget Salon is unveiled in Monaco, a stone’s throw from the mythical Place du Casino. The shop has a large 70 m2 space, with an additional private sales lounge on the first floor. In 1959, Piaget already opened a shop in Geneva reinventing the notion of a boutique. The Piaget Salon de Monaco is the heir to the 21st century. The place shows its ambition: to inspire its guests and lead them to the joyful side of life, the “Sunny Side of Life“. Created by Rêve de Louis and Lucibel, Kubya is a jewelry lamp that combines the expertise of the two partner entities, united to develop a unique object. On the one hand, Rêve de Louis is specialized in high jewellery and luxury items, on the other hand, Lucibel is specialized in LED lighting, resulting in the Kubya lamp, which was created after two years of work and is manufactured in only nine pieces. Sold for 165,000 euros, it is made of carbon, gold and diamonds and has a 1930s style. 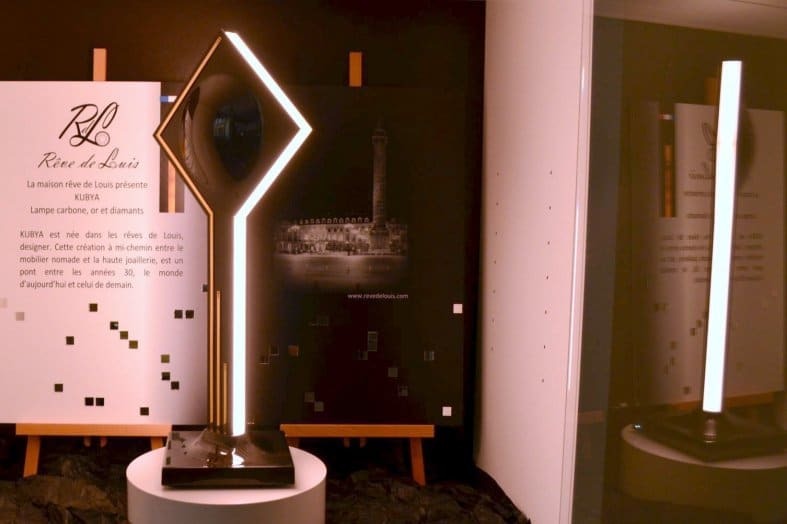 In total, it is set with nineteen diamonds, one of which, on the base, is illuminated from the inside to highlight it, and beyond being a very beautiful object, Kubya is also a lamp that uses new technologies since it can be turned on or off without being touched. To do this, simply move your hand over the base of the lamp. Its main lighting system consists of 240 LEDs that illuminate the opaline on the edge for perfectly even light distribution.